To gardening beginners, the term landscape design may sound quite imposing. To attain the knowledge required, a would-be gardener would have to spend a lot of time studying all the principles in the field. However, the same situation would not apply to a do-it-yourself kind of person who just wishes to give their front yard a makeover or want to fiddle with design of a garden. Such a person could benefit from a straightforward look at the principles behind designing the layout of a garden, together with a hand-on project guide. A do-it-yourself type of person must initially learn the essential elements of design that underline the landscape design principles. Such essential elements will later be used building blocks for knowing and implementing the most sophisticated principles of designing a garden. These tried and tested principles are the foundations of the best gardens in the world. The main landscape design elements for a garden include color, line, form, texture, and scale. When designing both the softscape and hardscape of a garden, these elements should be put into consideration. The former element can be described as the shape of a plant together with the arrangement of its bracing pattern. Trees come in numerous shapes especially when pruned, such as globular and columnar shapes. Additionally, forms of trees structurally range from having stiffly upright branches such as those of Lombardy trees, to those with droopy branches such as the weeping willow. For instance, the leaf appearance of a certain treetype can be quite different from another type. The comparative size of a tree can assist in determining the plant texture. Since texture in landscape design is mainly a visual matter, gardeners often take into consideration the size of a plant’s leaves to figure out the texture. Plant texture is somewhat relative as it is reference to how the object’s surface is perceived in comparison to the objects surrounding it. Hence for instance, the texture of a bedding plant may be comparatively coarse than the case of an adjacent one, due to leaf size differences. The element of design is a reference to the way the flow or movement of a viewer’s eye can be influenced by plants arrangements and their borders. The movement of the eye is unconsciously governed by the manner in which plant groupings flow or fit together, on the vertical and horizontal. Three garden design principles are used to the overall landscape feel; proportion, unity, and transition. 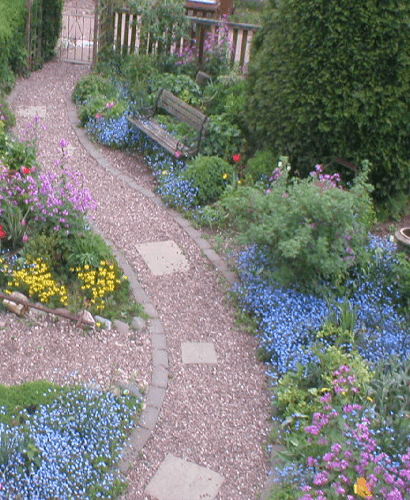 Landscape garden plants should be arranged in a way that they adhere to these doctrines. 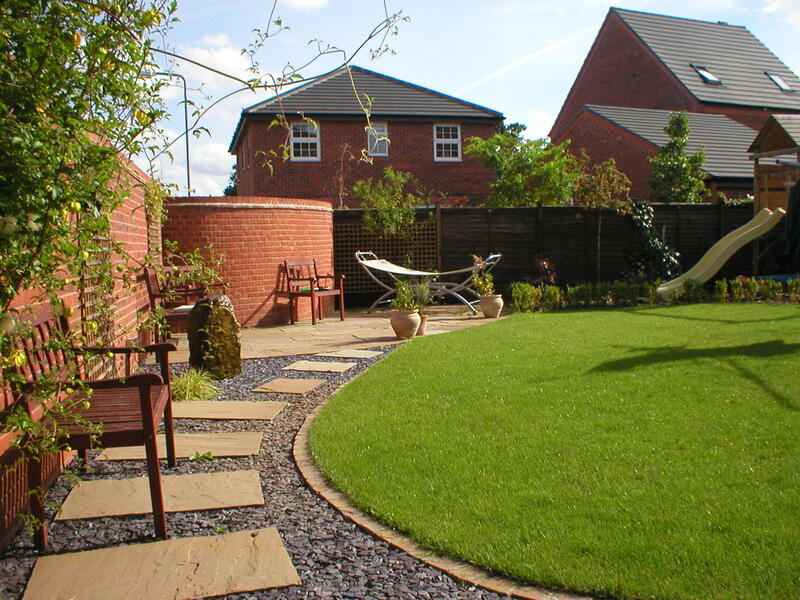 Proportion is the feeling that the size of landscape plants is dependable with the landscape itself. A landscape design for a home that is not proportional is the one that is blemished by lack of transition or abrupt transitions. For example, a stone wall that is five-foot high may seem proportional in a big home, but would make a smaller hoe appear much smaller. The landscape of the smaller house suffers from lack of transition since the wall’s height is very close to the house’s height.